There are many loved bags in the R&T line, but the Hobo is the one that we have sent all over the world, year after year. Always making incremental improvements. Making it lighter and adding new pocket and leather options. The Adjustable Hobo Pack in waxed canvas & leather easily adjusts from shoulder length to crossbody length and any length in between. A quick cinch of the strap, and the Hobo is a comfy backpack. Add the optional clip on grab handle/shoulder strap from the menu. The strap adjusts short enough not to need the extra handle, but most like to add it so they can have both options, long & short, at the same time. Perfect for travel and for everyday with its unique soft drape and three in one function. Most women enjoy the Adjustable Hobo as just a crossbody bag. 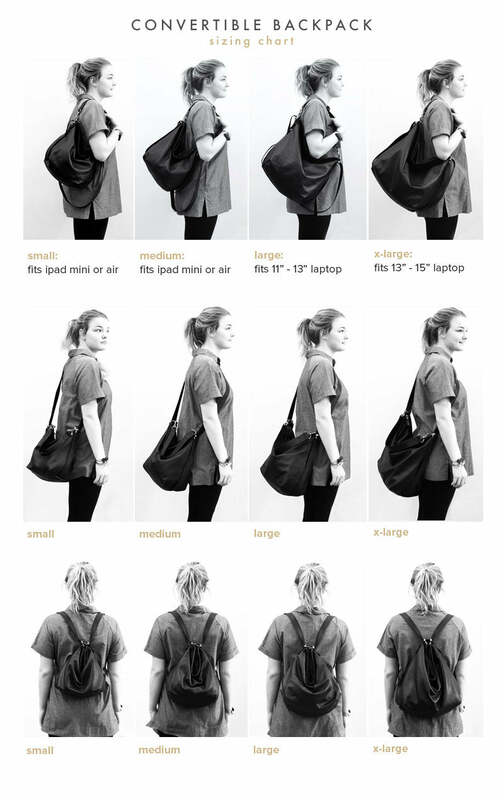 Some as a shoulder bag, and some women wear it as a backpack exclusively. Pick your favorite way!